Mörder Kotzebues (1795–1820). 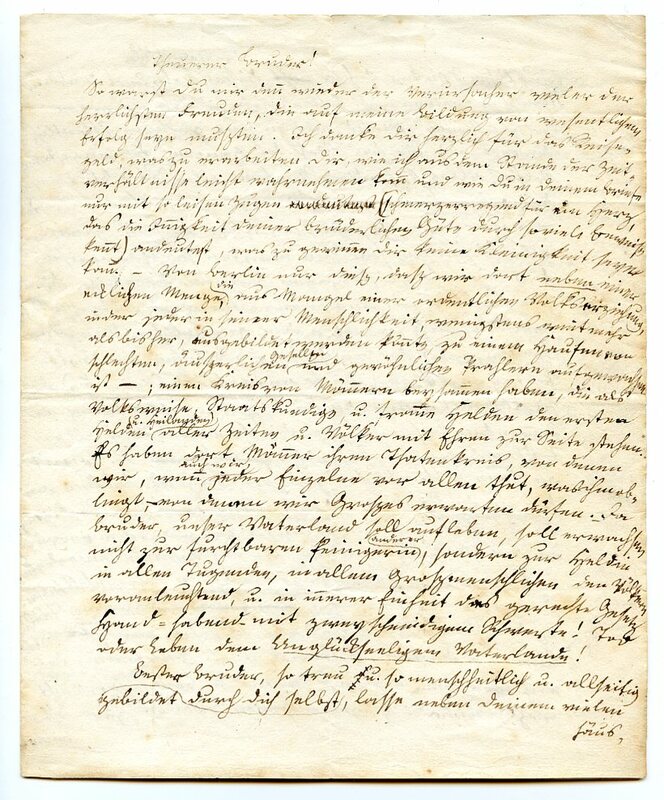 Autograph letter signed („Karl Sand“). Jena. 3 SS. auf Doppelblatt. 4to. Mit eh. Adresse (Faltbrief) und dem Rest eines blindgeprägten Siegels. 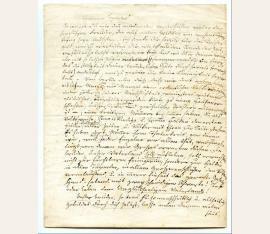 To his brother Georg Sand in St. Gallen, shortly before he travelled to Mannheim, where he killed August von Kotzebue on March 23: “[…] Thank you for the money you gave me, I am sure it was not easy for you to earn it. – Very rare. Second leaf with small clipped section due to broken seal (slightly touching letters) and with a note from 16 March 1819; slightly browned, dusted and stained, otherwise well preserved.